Studies show people are online for an average of 17.6 hours per week. You can add even more hours to that if you frequently play video games or use your laptop for work. With frequent use like this, you’re bound to encounter problems with your laptop. You might end up with a key that doesn’t respond and won’t type up the letter, number, or symbol that you wish to use. A bad key can cause a lot of setbacks, making simpler tasks tougher to accomplish. Before rushing to dismantle your keyboard, check if there’s something on it preventing you from using the keys. If you are using a keyboard without an external keypad, having the Num Lock on may cause certain keys to map out differently. Turning the Num Lock off will allow you to set your keys back in order. Otherwise, if that is not the case behind the bad key, there might be something wrong underneath that key. It’s easy for breadcrumbs or cookie bits to lodge underneath a key, preventing you from pushing it in properly. It could use some way for you to remove it. If you are using an external keyboard, have it unplugged. After which, turn it upside down and shake it off. As mentioned above, there could be debris caught under the bad key and you should be able to dislodge it with a good shake. Of course, this might not be a good idea if you are using a keyboard integrated on the laptop. That is where you try this next step. Another way to dislodge the debris that might be stuck under the keyboard and to help you clean under the keys is to use compressed air. Get a can of compressed air from a store, as these are useful as a dust remover and cleaner for electronics. Attach the nozzle on it and have it placed on the nook where the problematic key is in. Start spraying at it and check if it has gotten rid of the debris. If this does not work after testing, then there might be something that you have to check underneath. With a key in your laptop keyboard not working, and being unsure of the steps that you should take to fix it, do not go further. Due to how a laptop has delicate parts in it, fiddling with it further may cause problems if you are not careful. When you are in doubt and unsure of how to proceed with cleaning it, go to the nearest computer service center and have your laptop keyboard repaired and serviced there. In the hands of a professional technician, you can be sure that they will have it fixed. In this case, professional repairmen are well-equipped and skilled to work on finding out the cause behind the malfunction. Before proceeding with this step, make sure that you are not with any form of static electricity. If you are working on an external keyboard, make sure that you unplugged it. If it is a built-in keyboard from a laptop, make sure the laptop is off and the battery disconnected. If the key still doesn’t work, try checking underneath. You can do this by removing the key itself, which is possible for external and certain built-in keyboards. To do this, you will need a small flat screwdriver or any flat object that you can pry the key off with. Simply insert the flat object on the key and gently rotate the screwdriver to pop the key off. What you see underneath depends on the type of keyboard you are using. Usually, you would spot a layer of rubber padding underneath as it comes between the key and the circuitry it covers. Once you have popped the key away from it, inspect the key first if it got broken. You would notice some missing piece or so if it is. You can also proceed to clean around it after popping the key off. Use a Q-tip to clean off the grime underneath and around. You can also use a toothpick to go at some tight spots to get rid of the dirt. After cleaning, pop the key back in carefully and test it. After checking the key causing problems, you might notice one or two things that cause it to malfunction. One of these might be due to a broken portion on the key itself, like a missing piece that snapped off or so. If the damaged key was causing the problem, consider having the key replaced. If you are using an external keyboard, it might be easier to simply get a brand new one to replace it. On the other hand, it is not that simple for a built-in laptop keyboard. You can find key replacements online. Take note of the specific model of your laptop and look online. You should be able to spot key replacements for your laptop using that information. 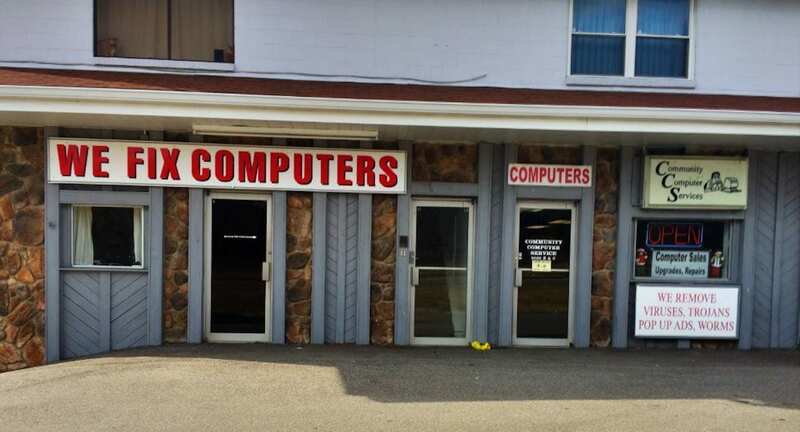 Or, you may consider going to the laptop service center for replacements. If the problem is internal, it is highly suggested that you have a professional repairman look into it and have it addressed. Have Your Laptop Keyboard Checked Today! A keyboard, being the primary input method for all computers, is prone to wear and tear after frequent use. This can lead to frustrating situations if you don’t know how to fix a broken laptop key. 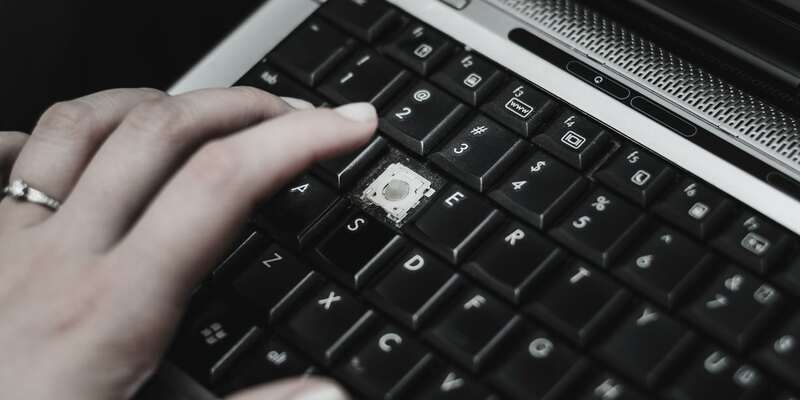 The best action to take with a bad key on your laptop is to have a professional repairman look into it and have it fixed for you. With these services, we can help you with addressing your laptop and computer repair needs. For inquiries, feel free to contact us now.